Among Citizen’s 2016 debuts, the Eco-Drive One will likely gain the lion’s share of attention. 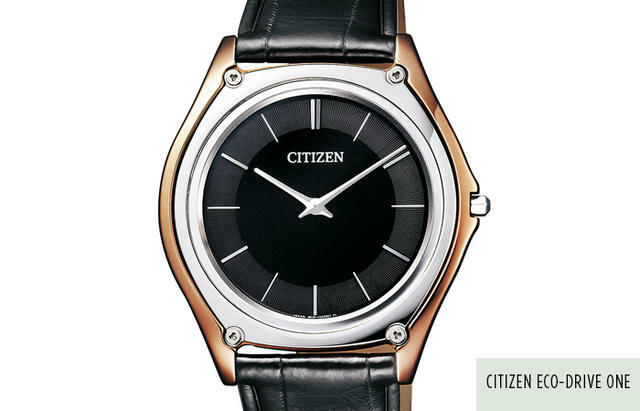 The watch is the ‘world's thinnest light-powered analog quartz watch,’ according to Citizen. As it measures 2.98mm from back to front and features a wispy but powerful 1mm thin movement, the Japanese giant likely has this record sewn up. I haven’t found anything of its type with a thinner case. Having briefly placed the new Citizen Eco-Drive One on my wrist I can report that its case is quite tough. Citizen spent a great deal of time mastering just the right alloy for the Eco-Drive One case to insure that the watch doesn’t bend when on the wrist as did more than a few ultra-thin timepieces from other companies in recent decades. This watch will retain its shape. Two Eco-Drive One models are being made. The limited edition of 800 features a 38.15mm case made of Cermet, an advanced composite composed of ceramic and metallic materials, and has a bezel made from a binderless cemented carbide that is hard and resistant to both corrosion and oxidation. The second model, made in three unlimited versions, features a 39.8mm steel-case hardened with Duratect with a Cermet bezel and Duratect-hardened steel bracelet. Citizen also has improved its Eco-Drive technology here. In spite of its thinness, Eco-Drive One runs ten months on a single full charge thanks to the brand’s ability to save energy within the Eco-Drive Caliber 8826. 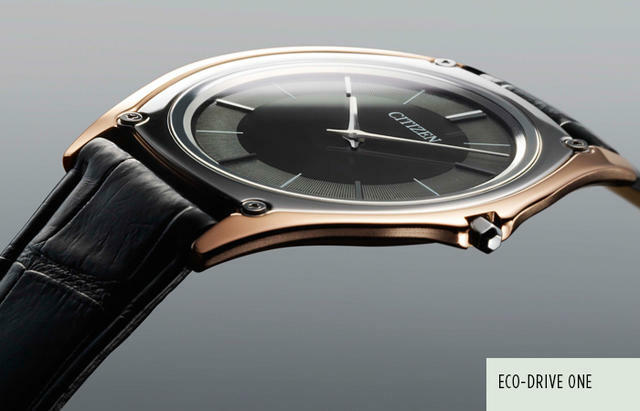 The limited edition Eco-Drive One is priced at $6,000 on a black crocodile leather strap. The unlimited bracelet editions are priced at $2,600. For ladies Citizen adds a translucent ‘Moon-Glazed’ sapphire crystal to two Ambiluna watches for women. 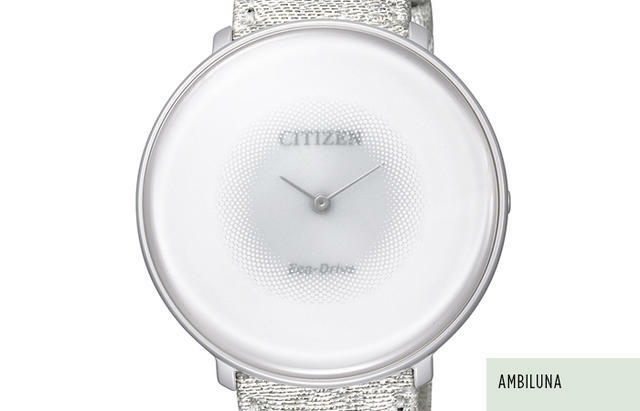 Inspired by renowned architect Sou Fujimoto, the watches are made with Citizen’s own tough Super Titanium. One larger-cased version ($1,850) features an unusual Nishijin-Ori Woven fabric strap while a second and third ($695) each offer a Japanese Urishi lacquer decorative element and a diamond accent on a bangle. 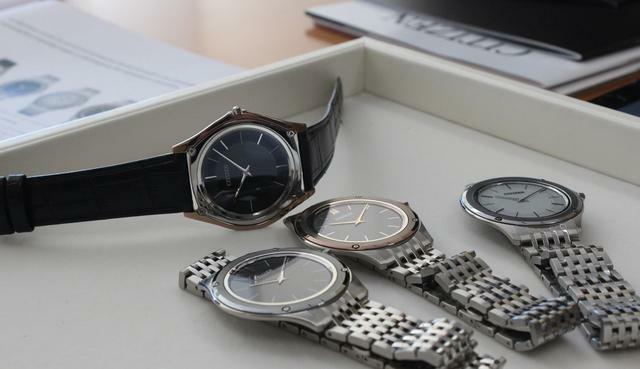 All L Ambiluna models of course are powered by Citizen’s Eco-Drive quartz movements. 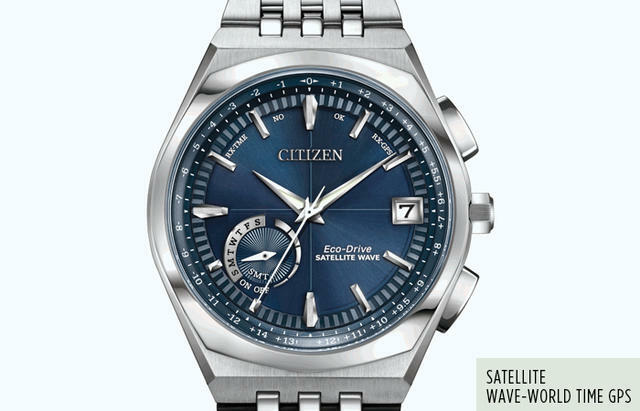 The newest Satellite Wave-World Time GPS ($1,150) from Citizen offers a refined presentation of the firm’s Satellite Wave Technology. Citizen’s Satellite Wave-World Time GPS features fast reception, in as little as three seconds, plus worldwide reception in forty times zones. The watch has a sleek stainless steel case and bracelet design with an azure blue dial. Additional highlights include perpetual calendar, daylight savings time indicator, power reserve indicator, light level indicator, day/date and anti-reflective sapphire crystal. Stay tuned for more Basel Coverage throughout this week and into next. Want more? Check out iWMagazine.com’s dedicated Baselworld 2016 for debuts, exclusive video and more.